A pair of lawsuits against Fox News had been inspired by the events leading up to a discredited story over the killing of a young Democratic Party aide. The story had to be retracted. 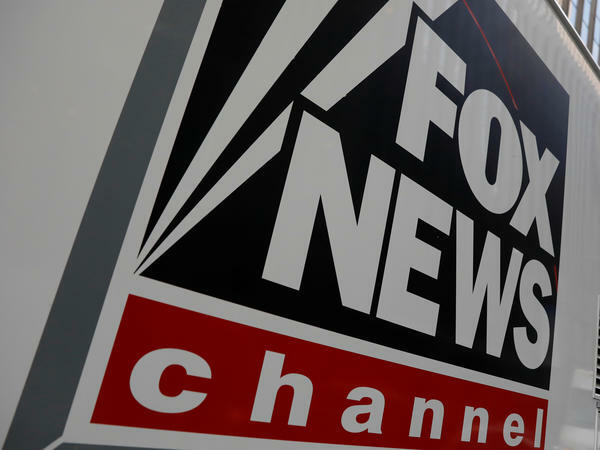 A federal judge has dismissed a pair of lawsuits against the Fox News Channel over its coverage in May 2017 of the killing of a young Democratic Party aide named Seth Rich that had to be retracted just days later. Judge George B. Daniels, of the Southern District of New York, ruled that the lawsuits, one for defamation, the other for intentional infliction of emotional distress, each failed to state a valid claim against Fox. The cases were also dismissed against the other defendants: Malia Zimmerman, the reporter on the story, and Ed Butowsky, a Texas investment manager and former unpaid Fox News commentator who had been involved behind the scenes with Fox's look into Rich's death. In the first suit, Rod Wheeler, a former paid Fox News commentator and former homicide detective who had acted as a private investigator for the Rich family, alleged that the Fox News reporter who wrote the story created quotations out of thin air and attributed them to him to propel her reporting. Rich was killed in July 2016 in an early-morning shooting in Washington, D.C., that the Metropolitan Police Department believes was probably the result of an armed robbery that spiraled out of control. In May 2017, Fox reported that Rich had been linked by a federal law enforcement official and by Wheeler to the leak of thousands of Democratic Party emails to WikiLeaks and suggested his death might be related to the release of those emails. Butowsky had orchestrated Wheeler's hiring by the Riches, according to the accounts of the Riches, Wheeler and Butowsky. By Butowsky's account to NPR and on Twitter, Butowsky was motivated by the desire to help mourning parents find out the truth behind their son's death. Wheeler offered a different version of events. In his defamation lawsuit, filed in August 2017, Wheeler alleged Fox's story had been part of a concerted effort to prove that Rich had been linked to the leak of Democratic Party emails during the 2016 presidential campaign. The effort was driven, he alleged, by Butowsky and Fox, who Wheeler asserted wanted to deflect public attention from mounting concern about the Trump administration's ties to the Russian government. U.S. intelligence officials have publicly stated their conclusion that the Russians commissioned the hacking to disrupt the U.S. elections and to aid then-candidate Donald Trump. In taped conversations referenced in the lawsuit, Zimmerman appeared to acknowledge that Wheeler had not made the remarks he was quoted as saying by Zimmerman in her story — and that he had challenged the quotes on the very day the Fox story first ran. And Butowsky encouraged him to stand by the Fox story he objected to, according to materials referenced in Wheeler's suit, saying in taped remarks: "One day you're going to win an award for having said those things you didn't say." As the judge noted, however, Wheeler did tell a reporter for Fox 5 — the local Washington, D.C., sister station to Fox News — on tape that it was "confirmed" that his sources had told him about information linking Rich to the WikiLeaks email dump. And some of Butowsky's tweets jabbing at Wheeler amount to opinion or rhetorical questions, not clearly defamatory claims, Daniels wrote. "In this case, Plaintiff and Defendants embarked on a collective effort to support a sensational claim regarding Seth Rich's murder," Daniels wrote in his decision. "Plaintiff cannot now seek to avoid the consequences of his own complicity and coordinated assistance in perpetuating a politically motivated story not having any basis in fact." In the second lawsuit, filed in March, Rich's parents, Joel and Mary Rich, sued Fox, Zimmerman and Butowsky, alleging the intentional infliction of emotional distress. In their suit, the Riches cited Butowsky's role in tracking them down to offer to pay for a private detective, and for proposing Wheeler. They also cited Butowsky's communications with Zimmerman and others at Fox about the story. Additionally, their suit alleged Butowsky repeatedly asserted ties between Seth Rich and the emails posted by WikiLeaks, despite the firm denials of Joel Rich. In his ruling in the Rich family's case, Daniels said that Zimmerman's statements in the Fox News article about Seth Rich's ties to the email leaks were false. And the judge also wrote that Zimmerman's claims were false when she told Rich's parents of an FBI report that she alleged showed Rich had shared the emails with WikiLeaks. But citing legal precedent, Daniels ruled their claims in that and other instances "do not rise to the level of extreme and outrageous conduct." An attorney for the Riches, Eli Kay-Oliphant, wrote in a statement to NPR that they would appeal: "Joel and Mary Rich are, of course, disappointed in the trial court's decision, but they look forward to vindicating their rights on appeal." Wheeler's former law firm had withdrawn from the case. Wheeler could not be immediately reached for comment. Fox News, and Zimmerman through a Fox News spokeswoman, declined to comment. Butowsky did not respond to a request for comment. Editor's note: In June, Ed Butowsky sued NPR media correspondent David Folkenflik, NPR and several NPR editors for $57 million in a defamation of character claim over its coverage of the Seth Rich story. NPR has publicly stood behind its reporting. That lawsuit has yet to be heard in court.